This spring, I was contacted by Mont Bleu, a Czech manufacturer of manicure tools—many decorated with Swarovski crystals. 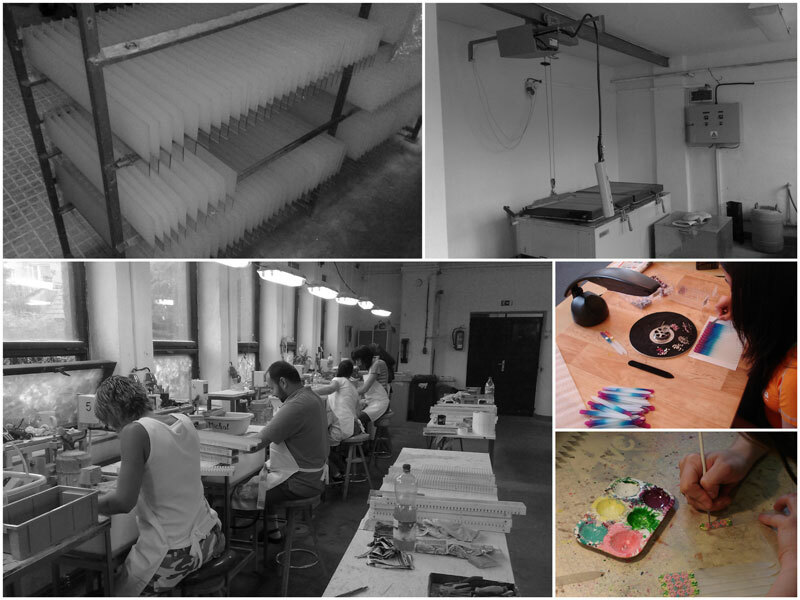 Mont Bleu Glass File production and decoration, Czech Republic. All these years Mont Bleu has been delivering only the best. Mont Bleu is a manufacturer of Czech made glass nail files, and a Design Atelier who make bijoux, and decorates beauty products, and gifts with SWAROVSKI® ELEMENTS. Mont Bleu delivers its products all over the world, which is why clients from USA, Canada, from all over the EU, and Asia are buying our products with great pleasure. Our company offers to your attention only quality production approved with quality certificates of the Czech Republic and European Union. Our glass nail files were tested and approved by Czech institute of health. It was a lot more than I had expected to receive—many thanks to Mont Bleu! 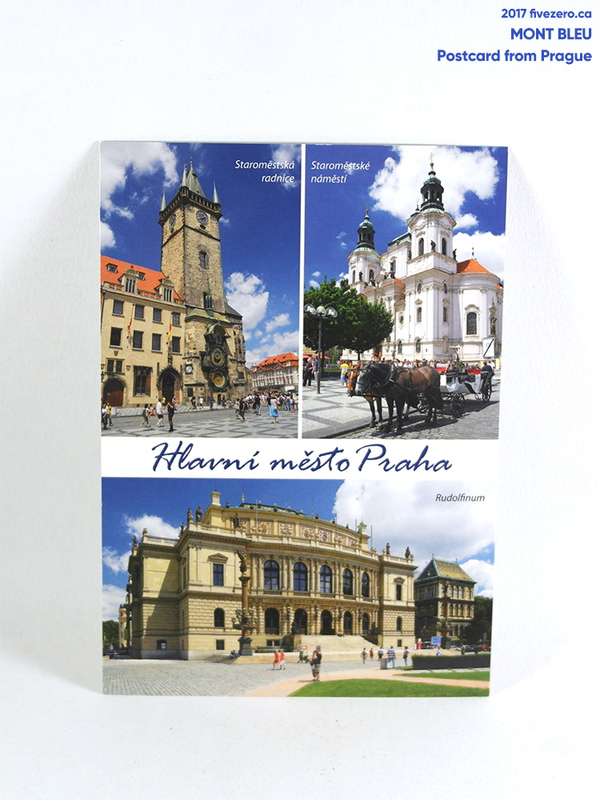 Postcard from Mont Bleu in Prague. There’s quality in our methods of production, with twice-tempered glass that’s traditionally forged in Czech Republic. All these components come together to create a nail file that preserves quality where it matters most – in your nails. When Czech methods transformed the production of crystal nail files, this was down to an innovative tempering method that revolutionized the industry. We use those same ground breaking techniques to create nail files that stand up to intensive use – with no degradation in quality. 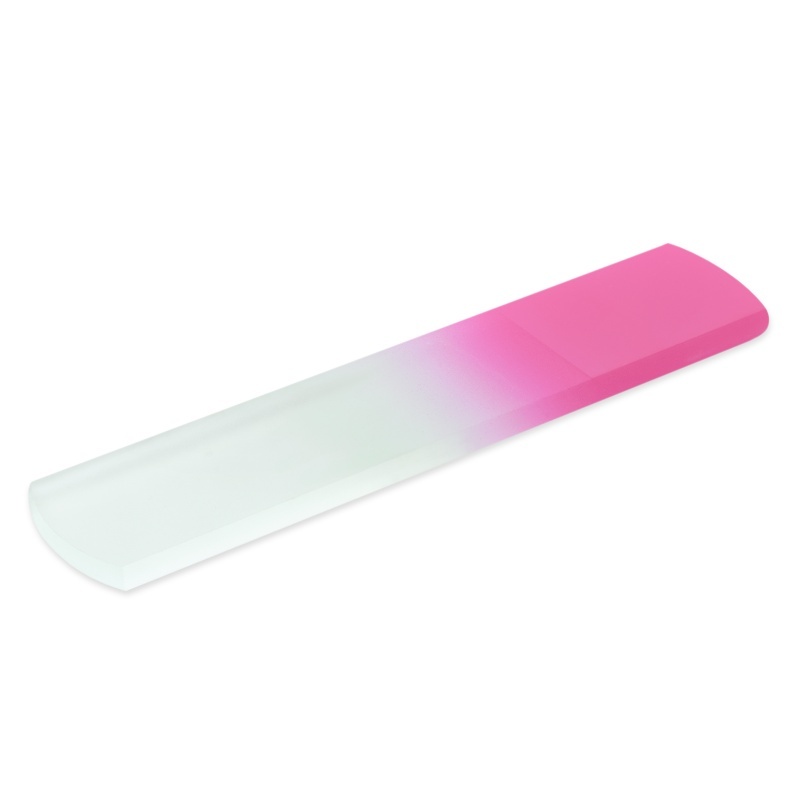 This nail file is crafted from a hardened Czech glass alloy – renowned for its durability. But we don’t stop there. We temper our files again during the production process to make them even stronger, so you can shape your nails smoothly for years to come – guaranteed! Durability isn’t enough to make a nail file last. The more you use it, the more hygiene matters. 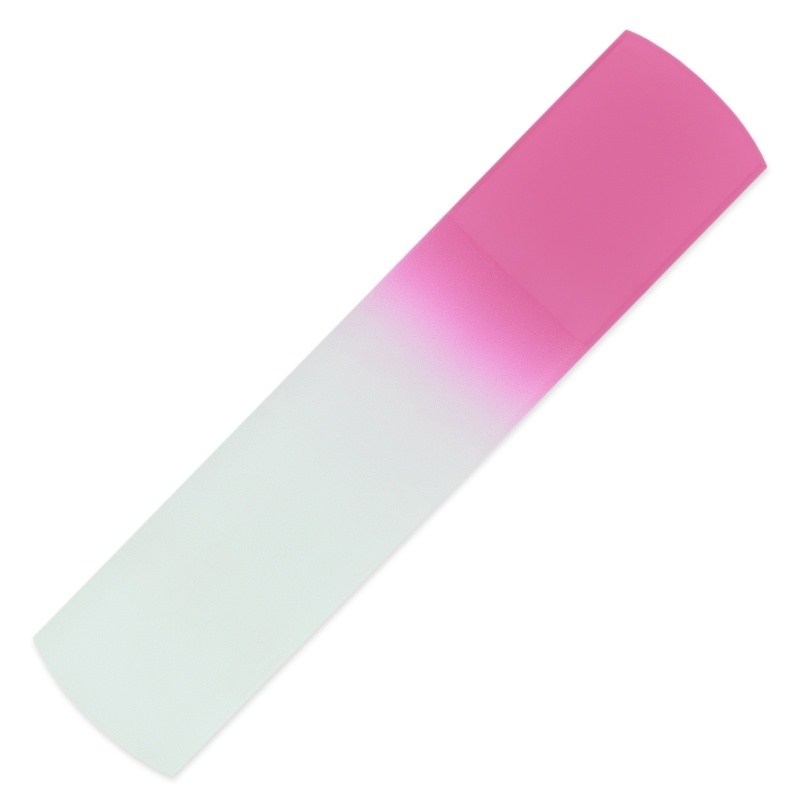 That’s why this nail file comes complete with a pouch to protect against dust and dirt. And with strong, finished glass, your file won’t absorb moisture or bacteria. These come in a wide range of ombré colorways and designs. This was my favorite thing to receive, since I only use glass nail files. My Essie Crystal File is getting a little long in the tooth—while it still works well, I was very glad to get a new set of files! I actually have a few glass files, though I just use the Essie all the time because it works well. I have a backup file from OPI, which I have misplaced, having never actually used it; a SwissCo file which I have relegated to non-usage because it is one-sided (WHY); and a mini file that I received as a gift with purchase from Deco Miami (this one is decorated with Swarovski crystals, like the other Mont Bleu file I describe later on). The Mont Bleu set I received contains one large foot file with a rounded end, one medium file with a pointed end, and a mini file with a pointed end. All files are double-sided, the grip ends are smooth glass, and they each come with a sleeve (this goes for all the glass files I received). The medium size is shaped almost exactly like the Essie Crystal File. The Mont Bleu file is a hair less thick, and the tapered point is shaped a little bit differently—it is an excellent glass nail file. I daresay it might actually be superior to the Essie in terms of the fineness of the grit! Mont Bleu offers a lifetime guarantee on the quality of the filing surface, too, which is amazing. I feel like I’ll never need to buy another nail file again, unless I lose or break mine. Czech tempered glass. A variety of colors to choose from. 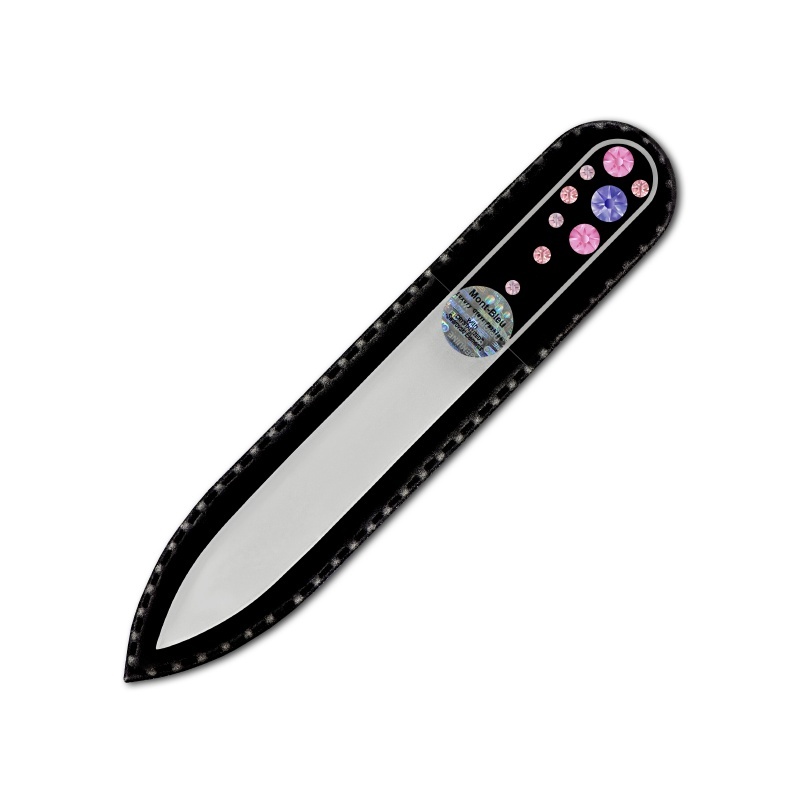 This Set of 3 Rainbow Crystal Nail File is practical, and probably the best set there is. Forged using traditional methods in the Czech Republic, it’s a hand-made file that makes shaping your nails quick, painless, and easy. And, best of all, it’s quality filing surface will last a lifetime – guaranteed. These come in a wide range of colorways and designs. This is so adorable and perfect for carrying in my makeup bag! The quality is the same as that of the larger glass files. It comes with a pretty, black velvet sleeve instead of a plain plastic type. Mini nail files that will perfectly fit in any purse and they are easy to take to any destination when you travel. Considering Czech made glass nail files are the best nail care tool, you won’t need any other with you. These nail files are made of Czech tempered glass in Bohemia, Czech Republic. No matter they are small, they will last a lifetime, as we give unlimited guaranty on abrasive surface. Check our manicure sets with small glass nail files if you are going for a long trip. Length of file 90mm/3.55 inches. This is an all-in-one glass file meant for pedicures. It comes in 10 colors. The file is nice and thick, and feels wonderful to use. I’d be leery of using a thin glass file on the feet! This Original Glass Foot File has 2-sided abrasive surface: one rough for the callus and one smooth for a velvet-like finish on your heels. It’s designed to remove hardest and toughest calluses. 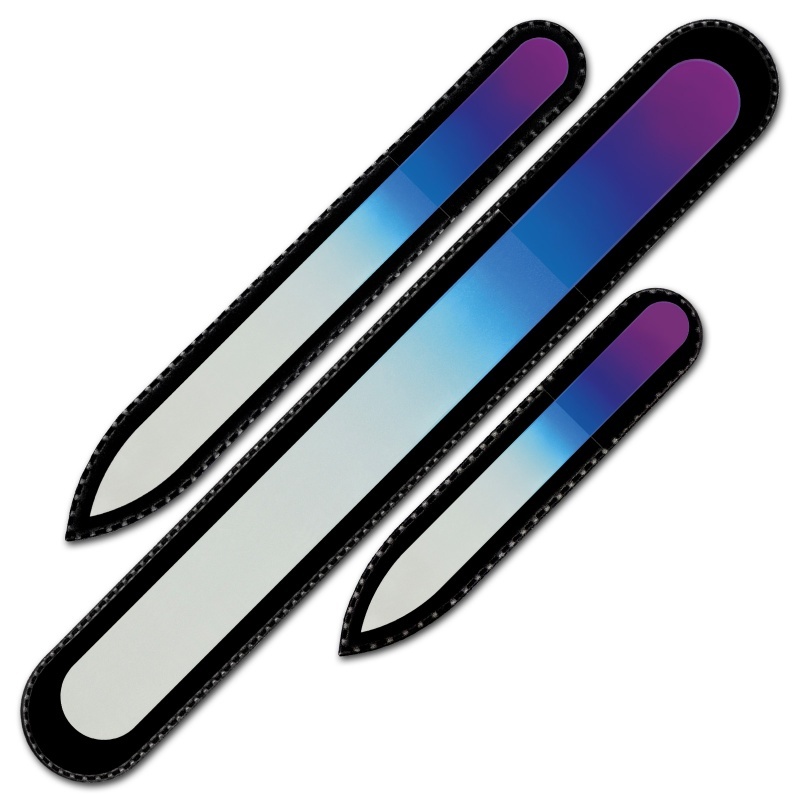 Glass foot files are made of Czech tempered glass and have a lifetime guarantee on abrasive surface. It’s supplied in protective plastic sleeve. I’ve actually been needing a pair of these, since my old pair is basically ancient and I’m more likely to injure myself with it than to actually properly clip anything neatly. These are lovely and sharp, and have an excellent feel in the hand. They’re made in Italy and sharpened in Germany. Fine quality nail scissors made in Italy and sharpened in Solingen, Germany by a traditional Solingen company with more than 80 years experience in making the well recognized Solingen quality scissors and manicure tools. 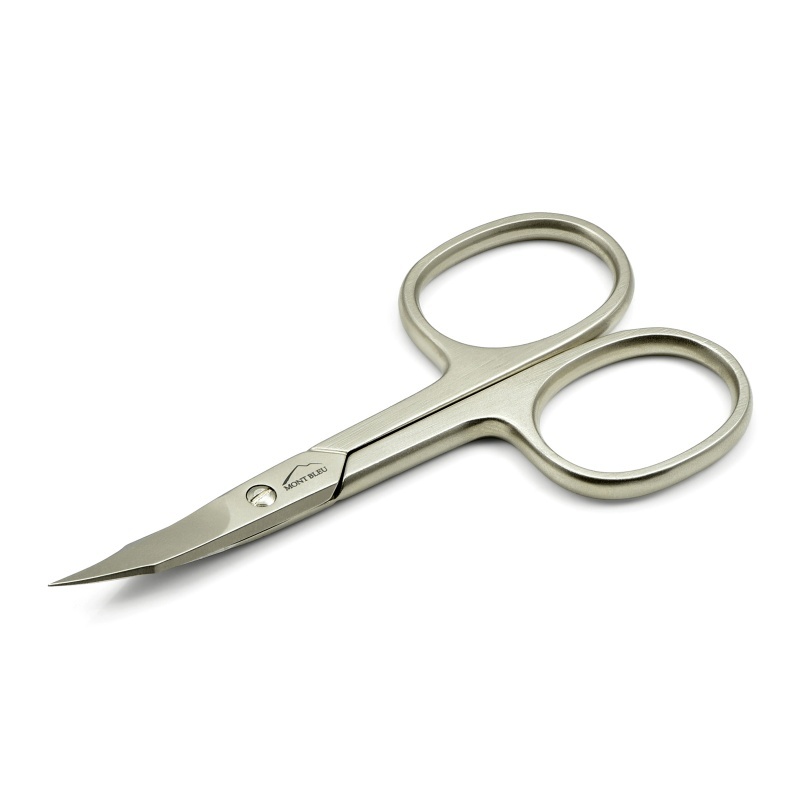 The scissors are nickel plated, which makes them corrosion-resistant and long lasting. Length is 9 cm / 3.5 inches. The surface has a matt brush polished finish. For the perfect nail care we suggest using a glass nail file with scissors to file the nail after cutting them. I don’t usually use a nail cleaner, but this works so well to get out specks of dirt from under the nail that I can’t believe I never used one until now! The end is shaped perfectly: pointed with tapered sides. It’s just sharp enough to work well but not so much that I can easily maim myself. Still, I like to be fully awake when using this tool, ha! Excellent quality nail cleaner is hand finished in Germany by a traditional Solingen company with more than 80 years experience in making the well recognized Solingen quality nail and cuticle care implements. Made of stainless steel, which makes them anti-corrosive and durable, this nail cleaner is made to last a lifetime. It has a matt brush polished surface. Length 12 cm / 4.72″ inches. The companion Cuticle Pusher will definitely replace the orange sticks I usually use. It works so much better and more efficiently, though I need to be careful using it. The soft orange sticks are more forgiving. I do love that I will never need to buy orange sticks again, though. The softly rounded end of this cuticle pusher enables cuticles to be pushed back with ease, avoiding any damage that could cause infection. The handle is designed to fit firmly in the palm, and the indentations for finger and thumb on the handle mean that it’s comfortable to hold, and can easily be used without any risk of slipping. 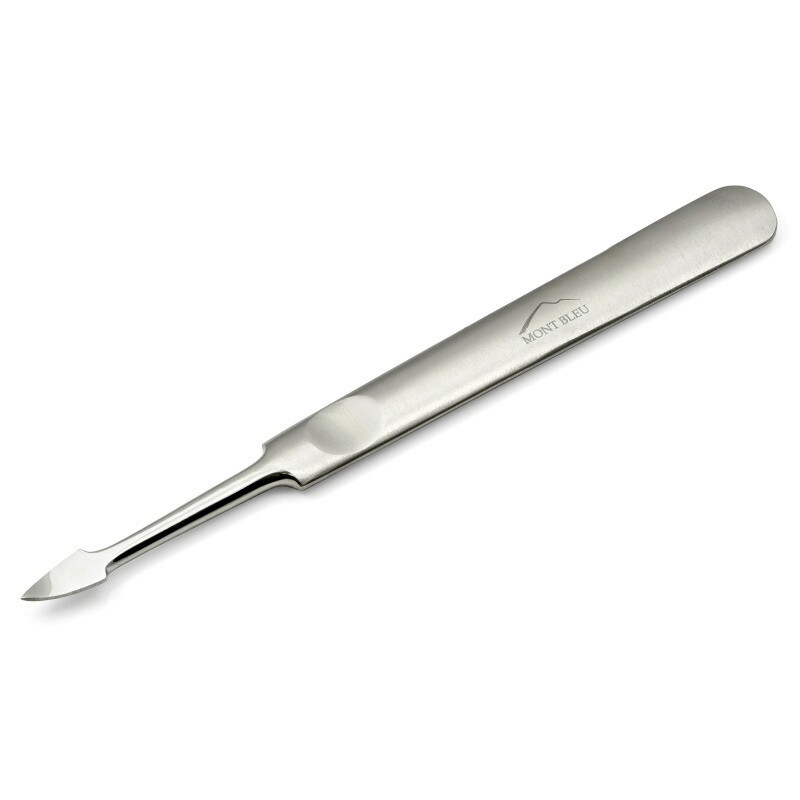 Excellent quality cuticle pusher is hand finished in Germany by a traditional Solingen company with more than 80 years experience in making the well recognized Solingen quality nail and cuticle care implements. Made of stainless steel, which makes them anti-corrosive and durable, this cuticle pusher is made to last a lifetime. It has a matt brush polished surface. I’m incredibly happy with the quality and selection of products I was sent by Mont Bleu. They didn’t require that I post a review, but here it is, anyway, and I loved everything! They’re well-priced, high quality products, and are better value than similar products I’ve tried that are name-branded. (Mont Bleu also provide private label service.) I also love that they have a broad selection of pretty colors and designs—and plain ones, too, if that’s what floats your boat! I will certainly look to Mont Bleu the next time I’m in the market for nail files and other manicure tools—they make excellent gifts, too! In my experience, hardly anyone goes back to emery boards once they’ve tried a glass file. Alongside manicure tools, Mont Bleu also sell tweezers, makeup brushes, hair brushes, shaving tools, knives, and a range of Swarovski-decorated gift items like compacts, bag hooks (love these! ), jewelry, and artwork. Mont Bleu have also provided a coupon code to use at their online store: BLOG will give you 20% off your purchase. They ship worldwide, and priority air mail shipping is free with a purchase of 38€ / $50 / £32. Mont Bleu was founded about ten years ago, and is based in Prague, Czech Republic. These sound great! I got my first glass file a few years ago, and cannot believe hat I ever used a metal one! These products look really nice! i have never tried this brand before and i am really curious to see how these will work for me. These look so pretty – I can’t deal with glass nail files though, the thought of using one just turns my stomach!